The Grover Pro "Open Tone" temple blocks are hand-crafted in the USA using high quality Russian birch. Grover mindfully chose Russian birch for its great strength, durability, and resonant sound characteristics. Each temple block is not only graduated in size, but tuned so that each set is tonally matched for optimum sonority. 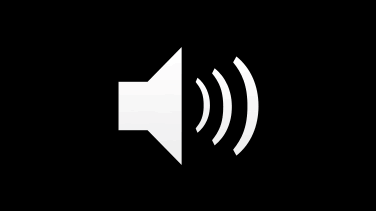 These temple blocks have a full, focused sound. The quality is very consistent, creating a set of temple blocks that is truly a benchmark of craftsmanship. Every set of our temple blocks includes a robust "quick release" multi-clamp that will allow you to securely mount your Grover Pro temple blocks on any vertical type of stand, such as a cymbal stand or concert tom stand. Machined from aircraft grade aluminum, our mounting clamp is the strongest on the market, bar none. Grover Pro is the only company offering eight graduated temple block sizes. Our "standard" set is perfect for most applications and consists of five graduated sizes. 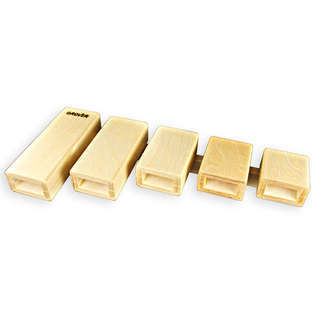 Our unique bass set of 3 large blocks extends the range downward from our standard set. The bass set is sold individually so that players who already own standard size temple blocks can extend the range of their temple block setup. Neil Grover, owner of Grover Pro Percussion, shows off some new products at PASIC 2010. Neil talks about the new temple blocks, Spectrasound Mark Tree bar chimes, and Titanium G3 Concert Snare Drums. I simply love these blocks. If you are looking for a very good set feel comfortable with these. I don't have a set of Black Swamp to compare them to but I am extremely happy with the sound and the price makes them an extreme value to me. If not being used in a setting (i.e. school) where would take abuse then forgo the synthetic blocks of similar price and get these. Purchased these for our orchestra. The sound is full and open sounding. COnstruction appears heavy duty. Great clamping system, works on all our stands! I would recommend these to percussionists looking for high-quality temple blocks.